When I told my husband I was making a Donna Hay roast pork that was topped with Stilton he was sceptical about the combination. 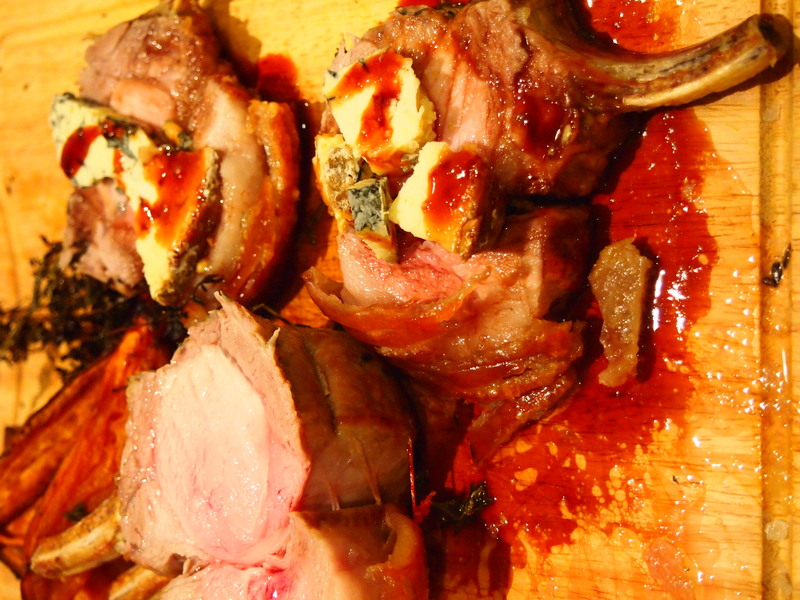 He ate his words – and the pork, crackling, stilton and port and honey glaze! This combination just works so well and in true Donna Hay fashion comes together with minimal effort. It’s special enough to serve for a dinner party and easy enough that you won’t be in the least stressed, not to mention that the side of sweet potatoes is roasted right along side the pork. Try it you won’t be disappointed! Dry the pork thoroughly and bring to room temperature. Score the rind of the pork with a sharp knife at 1cm intervals (or have the butcher do this for you). Pre heat the oven to its highest setting. Sprinkle the pork well with the sea salt especially the rind. 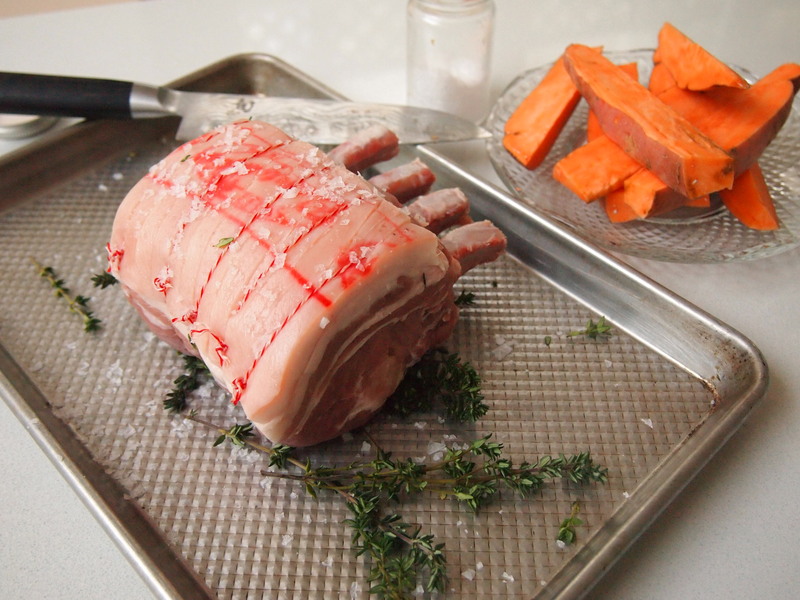 Place the thyme leaves on a baking tray and rest the pork on top. Drizzle a little olive oil over the sweet potatoes and place them around the pork. Put the pork in the oven and immediately turn the temperature down to 220C. Bake at this temperature for 30 minutes then lower the heat to 180C for a further 20 minutes. Take the pork out of the oven and let it rest uncovered for 10 minutes before carving. Whilst the pork is roasting make the glaze. 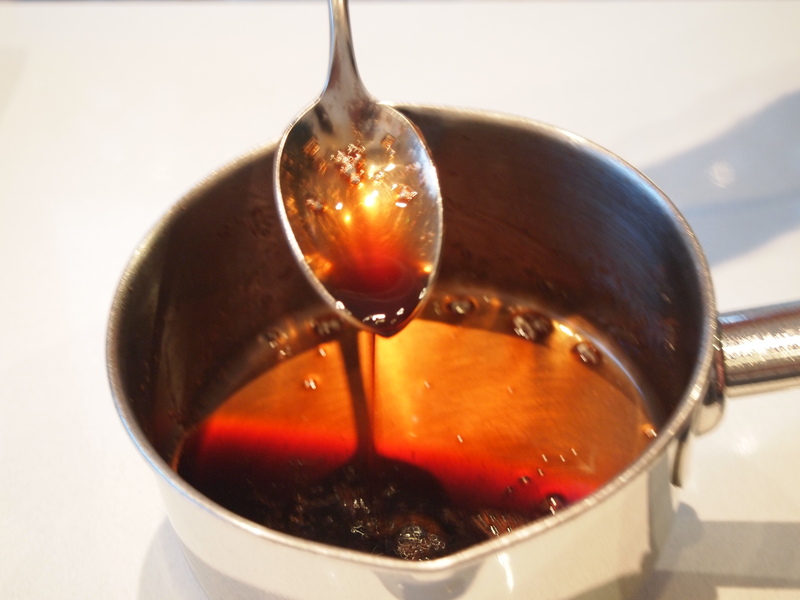 Bring the port, stock and honey to a boil in a small saucepan and simmer rapidly, uncovered, until reduced and syrupy about 20 minutes – keep an eye on it towards the end. 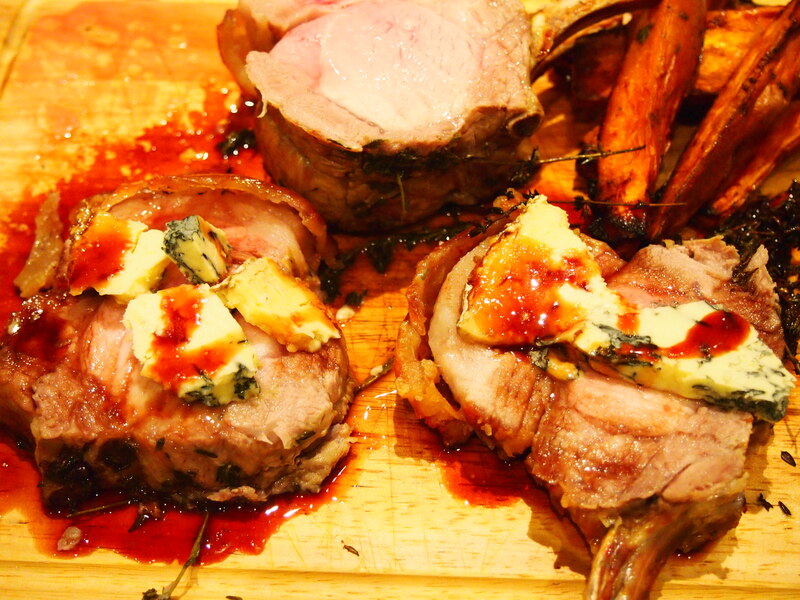 Carve the pork into individual racks and top with a slice of the Stilton and drizzle with the glaze.